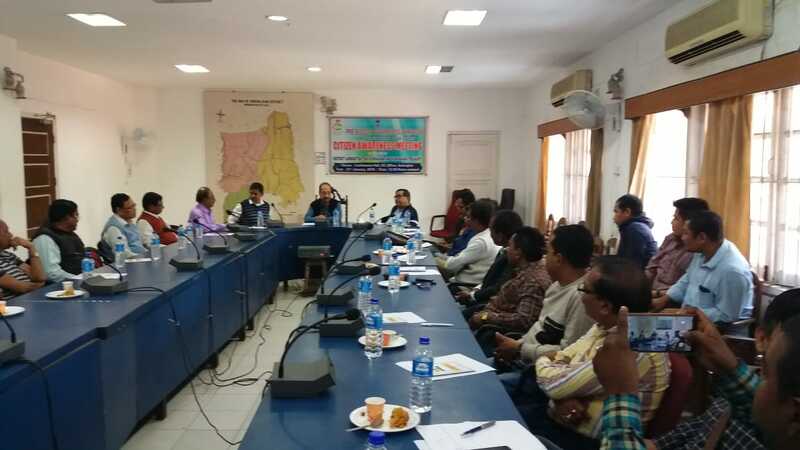 As part of the pre-budget awareness campaign for the financial year 2019-2020, a citizen awareness meeting was held on Wednesday at the conference hall of deputy commissioner’s office in Kokrajhar of Assam. Organized by the Kokrajhar district administration, the meeting was chaired by Kokrajhar Deputy Commissioner Partha Pratim Mazumdar and was attended by officials from various department, business persons, farmers, teachers, senior citizens etc. Kokrajhar deputy commissioner Partha Pratim Mazumdar said for the first time the state government is reaching out to the citizens and public for suggestions before the state budget session scheduled on February 6 next. He said suitable suggestions would be taken up and incorporated in the budget presentation. The district administration also distributed a form where citizens can fill it up and write suggestions they wished to be included in the budget. The suggestion form will be sent to the finance department, he said. Lok Sabha poll: Which development issue should get priority in Northeast? Northeast Now is a multi-app based hyper-regional bilingual news portal. Led by a group of professionals, the digital news platform covers every inch of the eight states of northeast India and the five neighbouring countries. It is the first of its kind new media initiative in the northeast, and is based in Guwahati. As the political dynamics in the northeast is intricate and fluid, Northeast Now is always politically neutral.